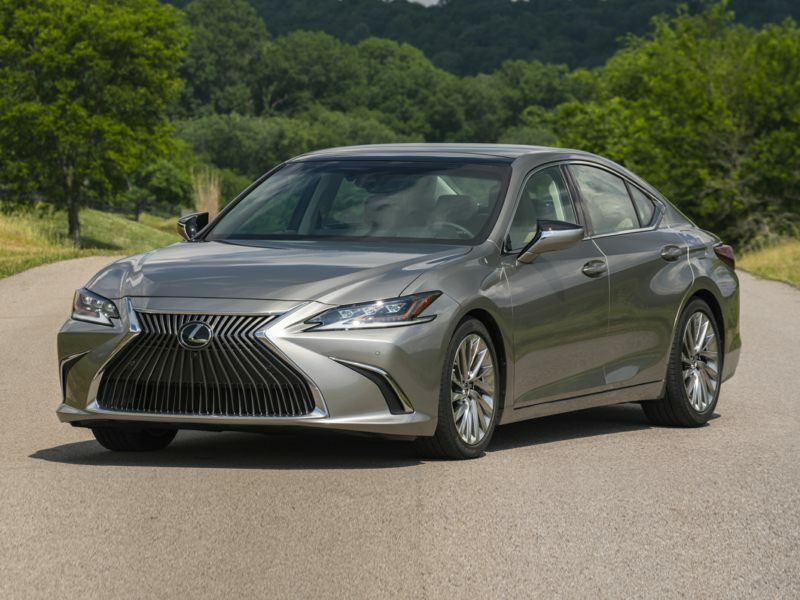 The 2019 Lexus ES 300h is a 4-door, 5-seat Sedan, available in 3 trims, ranging from the Base to the Luxury. Upon introduction, the $41,410 Base is equipped with a standard 2.5L, 4-cylinder, engine that achieves 43-mpg in the city and 45-mpg on the highway. an Automatic transmission is standard. The $44,065 Luxury is equipped with a standard 2.5L, 4-cylinder, engine that achieves 43-mpg in the city and 45-mpg on the highway. an Automatic transmission is standard. These new Lexus pictures highlight a brand on the move, as Toyota’s luxury division continues to distinguish itself from both its parent company and the competition. But as hard as it may be to imagine, the Lexus brand’s success wasn’t a sure thing when it was launched in the United States in 1989. At that point, Lexus was a bit late to the party as the third lux entry from the mainstream Japanese automakers, behind Honda’s Acura and Nissan’s Infiniti. Well, that’s the way it looked to outsiders anyway. The truth of the matter was that the first Lexus, the LS, was the fruit of a top-secret Toyota design program that dated back to 1983 and had spent the intervening years carefully honing all facets of its all-new flagship sedan. The latest iteration of the LS is, of course, one of the stars of our new Lexus pictures and remains one of the most satisfying luxury vehicles sold in America. Yet perhaps the clearest evidence of the Lexus success story is that it’s also sold in Japan: Lexus (along with Acura and Infiniti) originally were U.S.-only brands designed to cater to the supposedly unique requirements of this country’s drivers. But Lexus reset the premium paradigm once again, and its lineup was so popular that Toyota now has expanded its reach not only back to Japan, but to major auto markets around the world. And now Lexus is aiming to become the same kind of lifestyle marque as Porsche or Ferrari, thanks to the opening of INTERSECT BY LEXUS, a “luxury brand experience space” located in Tokyo that will no doubt inform what you see in future new Lexus pictures.